Looking for the perfect get away and investment! 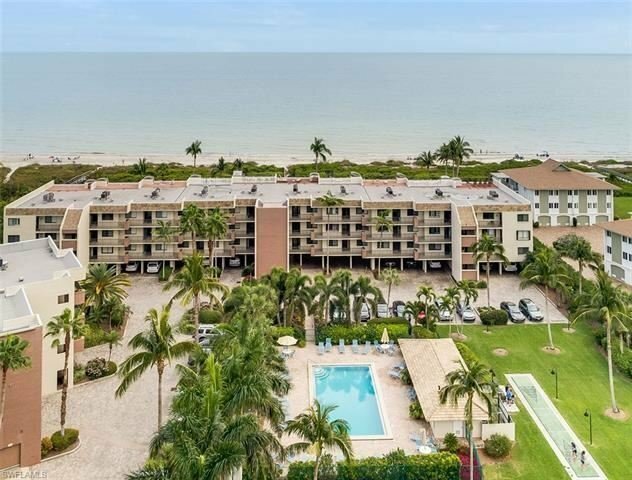 Enjoy direct, uninterrupted views of the Gulf of Mexico from this Sanibel penthouse condo with both a private rooftop sun deck and a ground level seaside cabana, a rarely available combination! This stylish, well appointed 2 bedroom, 2 bath plus den or third bedroom blends seamlessly with an expansive screened lanai leading to the rooftop sun deck for enjoying the spectacular sunsets and ocean breezes. Recent upgrades include updated bathrooms, furnishings, shutters, air conditioner, dishwasher, and dryer. Compass Point offers weekly rentals, heated swimming pool, shuffleboard, covered parking, and additional storage. In close proximity to island shopping, celebrated restaurants and easy off-island access makes this a great vacation home or rental property.